The current treatment model for sports related injuries usually examines the physical nature of the injury. This approach leaves the mental and emotional impact of the injury untreated. These mental and emotional blocks effect the athlete prior to surgery , during the entire recovery process, and can show real intensity when the athlete has been cleared to play. Robert’s treatment model helps the athlete break through this unresolved and complex aspect of sports injuries. Teaching the brain and nervous system how to process and integrate the overwhelming anxiety, fear of re-injury, loss, frustration, and anger helps the injured athlete restore confidence, focus, intensity and return to play without the fear of re-injury. Athletic injuries vary in their severity and the length of recovery. When an athlete undergoes any type of sports injury there is a standard order of care provided to the injured athlete. Each sprained ankle, knee injury, dislocated shoulder, concussion, arm injury, or serious fall is evaluated by the team trainer. If further care is required the athlete visits a massage therapist, physical therapist, physician, chiropractor, or orthopedic surgeon. The athlete then goes through an extensive rehab process that can last a few weeks with minor injuries or up to a year with a more serious injuries like an ACL or Tommy John injury. After an athlete has rehabilitated from an injury they are cleared to play at “100%”. Again, this “100% cleared to play” only takes into account the athletes physical integrity after injury. Many coaches, teammates, parents, and scouts expect the athlete to quickly return to their previous level of play. If the athlete is slow to come around, shows hesitation, fear, or anxiety they are sometimes labeled as “head cases”. Coaches move on to the next player. Those in the athletes circle can be critical, impatient, or intolerant. This can lead to more confusion, frustration, anger, and despair. These unresolved mental and emotional blocks from the injury and fear of re-injury are the key components that must be addressed for an athlete to be truly “100%” fit to perform. Athletes must heal on all levels, not just the physical. 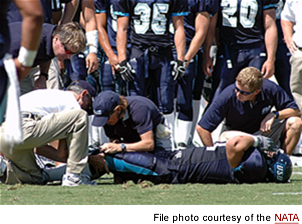 Treating an athlete before they ever have surgery can eliminate many of the symptoms we see with injured athletes. Processing their rational and irrational fears before they ever have surgery makes facing surgery, the recovery process, and returning to play a remarkably different experience for the athletes that are fortunate enough to do this work prior to surgery. No matter where the injury falls on this spectrum the athlete undergoes an intense mental and emotional crisis when injured. The athlete’s identity, sense of self, source of confidence and passion, connection to teammates, and stress outlets are suddenly taken away. For many this experience can be so intense it can be considered traumatic. As an athlete moves along the spectrum of care and attention the intensity of these emotional states increases. Put simply, the worse the news around the injury, the worse the mental and emotional reaction and suffering the athlete experiences and the bigger the blocks to returning to high levels of performance. Robert works with the injured athlete to help them understand, work through, and integrate their intense mental and emotional reactions to their sports injury. He uses re-scripting, Eidetic Imagery, and Eye Movement Desensitization and Reprocessing (EMDR) to teach the athletes brain and nervous system how to process, work through, and integrate the blocks and negative experiences associated with the injury. Robert’s work with athletes helps them overcome these stressors and blocks. Athletes return to play truly “100%’. They don’t see the stressful images in their mind anymore. They are confident, and because their mind no longer has to protect them from injury, they are free to let go and perform at very high levels. Where the mind leads the body follows. With a clear, confident mind, the body is free to reach its peak potential. When confidence and belief soar so does performance. “Our daughter was just starting with a new, highly competitive club when she tore her ACL. We knew volleyball was her life at 14, but we didn’t realize how much until she had to sit out her Freshman year of HS. Coming back in the spring to a new club full of some of the best players in the city, her confidence hit rock bottom. She was not the child we knew and we were scared at what we were seeing. She changed in every way possible; moody, sad, angry, scared to play, the passion for the game was gone, she was having trouble connecting to teammates and friends off the court. Nothing we tried helped. It took us over a year to find Robert Andrews, but only took a few sessions for him to give us back our girl. When I spoke to him on the phone, before our first session, he told me it would be 3-4 sessions and I would see my old daughter back. It sounded too good to be true. Remarkably, it took 2 sessions and she was back on the court, playing with full confidence, all the fear of the injury, which had held her back was gone. Robert took the time to not only meet with us around our busy schedule, he followed up with calls and texts to both me and my daughter, which meant the world to us both. I am honored to recommend him and have already sent another family in crisis after their daughter suffered a tragic injury on the court. “In the second week of the season, during his forty-first consecutive start, my son suffered a concussion – out cold for about a minute. He sat out the next game, but his recovery did not proceed as everyone had hoped. He was fatigued, headaches continued and things were different. Cleared to play in week four, he returned to the regular routine. Despite playing well, those close to him could see that he was certainly not his “normal” self. He received the hit that would “let him see that he’s fine” the next week. In fact, he received several of them. But he remained tentative and was more quiet than usual and I became very concerned at that point. I had seen this before over the years in other players I had coached myself – despite everyone’s best efforts, the recovery from a serious injury was often never fully complete. It was at this time, in the middle of the season, that Robert Andrews happened to be the guest speaker at the school’s athletic booster meeting. His topic – assisting the recovery of injured athletes – could not have been better timed and I spoke to him afterward and set up time for him to see my son. His work with my son had an immediate impact. After the first session, one of our trainers made the remark that he “seems to be his old self.” After the fourth and final treatment, he approached practice with confidence once again and his game performance was no longer tentative – he was back in charge. He played at a very high level in the second half of the season, picking up where he left off before the concussion. In fact his performances after his sessions with Robert Andrews were nothing less than stellar. He continued to improve his performance each week, throwing for nine touchdowns in his final three play-off games to win a second consecutive state championship. Mr. Andrews took a genuine interest in my son’s progress and came to see him play on three occasions after his treatments. 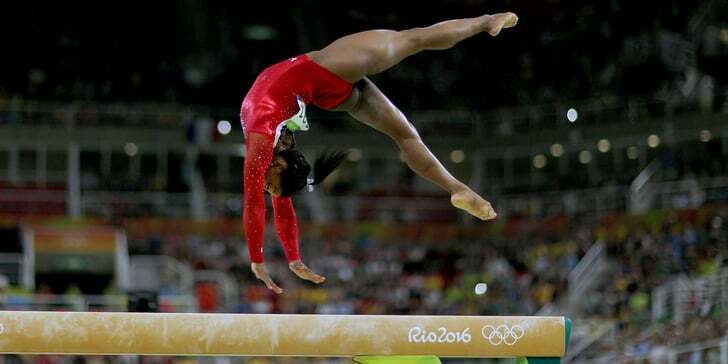 “My daughter is a competitive gymnast. She strained her acl and hamstring at camp in June of 2008. She was put in a leg brace and started physical therapy. When she started her rehabilitation her therapist was concerned that her responses to therapy were not indicative of her diagnosed injuries. We went to another doctor for a second opinion and she was diagnosed with Reflexive Sympathetic Dystrophy or Complex Regional Pain Syndrome. This is a disease of the central nervous system and Lucy’s system was reacting inappropriately to pain…in other words her nerves were firing all the time and even moving air (i.e. from a ceiling fan) caused excruciating pain. She was on crutches in the beginning and then fell and hurt her wrist. Her wrist was not broken but because of the Reflexive Sympathetic Dystrophy (RSD) she lost total function within 12 hours. So now she was in a wheel chair. Then we met Robert Andrews! My daughter’s doctor suggested she needed support in dealing with the pain and her injuries. Robert helped Lucy replace her negative images of her injuries and pain with positive ones. He helped her deal with her fears of injury and re-injury. She treasured her visits with Robert. He was the only health care provider that did nothing to hurt her. He was a safe zone. Lucy’s first session with him she was in a wheel chair…could not walk or use her right hand. Lucy’s last session with him she was doing hand stands and flipping over all the furniture. My son, Matt, was given one year to play high school football after sitting behind a Division 1 player until his senior year. He shattered records in his first 4 ½ games at quarterback, amassing 1550 yards and 14 touchdowns. In the fifth game he received a concussion. He was declared eligible to play the next week so we all thought he was fine, but in that next game, he threw 5 interceptions and fumbled twice. The next game he threw 4 interceptions. It was clear he was not the same player, or even the same person at home. He was lethargic, unfocused and just not himself. Knowing nothing about concussions, we simply relied on the advice of the team doctor that he would “snap out of it.” In his final two games he seemed to play a little better, but never returned to his original form on the field, or in his head. I went back to Texas and started searching on-line for answers. I came across some articles on post-concussive syndrome and they touched on what seemed to be happening – a negative physical and mental reaction in response to re-creating similar circumstances that caused the concussion. I spoke with a couple of doctors, one in California and one in Massachusetts, who said they could help – yet I didn’t have the confidence that they really could. Than I came across your website. I called, and within two minutes you asked for my email and sent me a letter – a story from another father who described his son’s story. It was almost exactly what my son had been through, and you had helped him. I remember getting chills, thinking ”This is the right place.” You suggested a 2- day session so we came down to Houston as soon as Matt got home for summer break. The overnight change was quite amazing. After the first session he seemed to perk up emotionally in ways we had not seen in months and talked of feeling an inner confidence he hadn’t felt since the incident eighteen months prior. After the second session, the whites of his eyes cleared up – literally they went from a grayish color to bright white. He returned to college with a confidence he had not experienced since the first month of high school football his senior year. The changes were clearly a result of your amazing technique. It is now my belief that there is so much we, and the average doctor, don’t know about the far-reaching effects of a concussion. I would encourage any parent who has a child who has had a concussion to seriously consider Robert Andrew’s program. “Early in the season I was hit in the face by a 94 mile per hour fastball. The impact of the pitch crushed my cheek and the bones underneath my eye. It was a very traumatic injury. An inch higher or more to the middle of my face and I might be blind or worse. I was taken from the ball park to the emergency room by ambulance. Surgery was performed three days later. It required five metal plates and forty two screws to put the bones of my face back together. I was told I would miss a minimum of eight weeks, but everyone thought my season was over and that I would have to redshirt. This made me very angry. It was hard to for me to think that everyone had given up on me. My school trainers suggested I work with Robert Andrews on the injury. My mother did some research on Robert and found out that he has helped a lot of athletes overcome serious sports related injuries. I thought it was a good idea. I saw Robert for the first time two and a half weeks after the injury. Before I went to see him, I was lying around mad and frustrated about not playing. I thought it would be good to talk to someone about everything I was going through. Robert used specific techniques to help me clear my mind of the injury and see myself playing at a high level again. He helped me through the trauma of the injury and helped me get back into the game without the fear of being injured again. A month to the day after the injury, and two weeks after I saw Robert for the first time I was cleared to play and back in the batters box with no worries. I felt like it was the first time I was ever able to play baseball without thinking or putting pressure on myself. Things just seemed to flow. In my first game back I hit a home run in my first at bat. My third at bat I hit another home run. I missed a third home run by inches. That night I was four for five with two home runs, a single, a double, and six rbi’s. The next game we faced the team we were playing when I was injured. Leading into that game I visualized hitting a home run. It was something I saw in my mind as a statement that I was back. In my second at bat I hit a home run over the center field wall. My first week back I received conference hitter of the week honors. That week I was nine for eighteen with three home runs, four doubles, and thirteen rbi’s.